Linda Simon is Brookwood's Senior Vice President and Financial Controller. She is a member of the firm's four person Executive Committee and is a shareholder. She has extensive financial management experience in the development, design and construction industries. Linda has been with Brookwood since 1994, and in 2001 was promoted to the position of Controller reporting to the company's CEO. 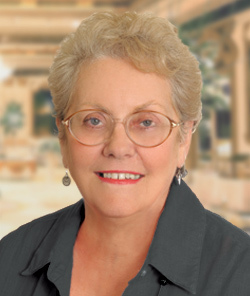 Before joining Brookwood, Linda spent 10 years as Assistant Controller for the Land Development division of Cousins Properties. She also has experience as the Controller for the real estate development firm Brookside Properties, Inc., and Cumberland Builders, Inc., a volume homebuilder.